Rob Kidnie – Barrel Pig Monster! From Issue 2 – you can buy it here! One of the best parts of my job as a photographer and journalist is finding a new rider that stands out enough that I want to shoot photos and write about them. Apparently Rob Kidnie likes toobs…. 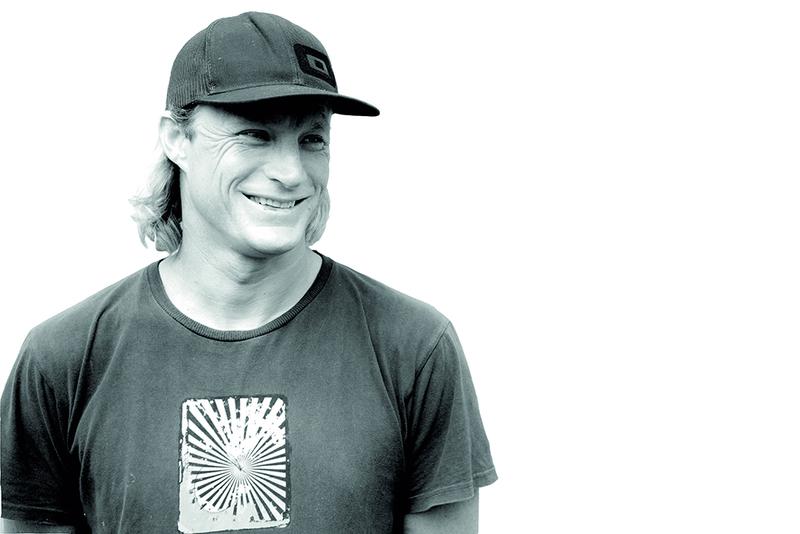 Most people do, but I think he likes them more than most… something else you may not know, Rob Kidnie is one of the best kite surfers you’ve never heard of. Up until a few years ago, I had never heard of him either. My friend Sky Rama brought him down to my local spot for a session 4 years ago and I was too busy trying to get my fill of wave kiting to pay attention to some random dude… fast forward a few weeks… Reo Stevens, Keahi De Aboitiz, and I were checking the wind at our favourite Indo kite spot. There was this longhaired blonde guy pulling in back-hand and getting obliterated. We watched the unknown charger as we geared up and it was clear this guy meant business. He would take, set up super deep and pig-dog into these big gapping holes in the ocean and just get smashed to bits.. Like I said, that was four years ago…today he could be considered one of the best back-hand tube riders in the sport. It appears that persistence, a fearless approach, and a kite sponsor to replace all your destroyed gear all pays off in the end. Rob toying with a froth monster. Rob – Poised like a barrel ninja. Robert Kidnie, 39, Sydney, Been kiting for 10 years. I was living in North Queensland for a while and needed something to do while I couldn’t surf, so I bought some crap gear off ebay and taught myself, which wasn’t such a good idea because it took me ages to learn and needed many kite repairs in doing so. I would have been much better off getting lessons but at the time I didn’t have much money. Were you a twin tip guy before you got into strapless riding? Yeah I think like most people, I started on twin tip. But when you discover you can kite on your regular surfboard everything changed for me. But it is still fun to jump on a twin tip and bust a few big air every now and them. I’m a lucky guy that got to grow up on the coast in Australia and started surfing at a young age. I love adventure/extreme sports and love to travel. I have a serious dis-interest in working the normal 9-5 rat race stuff. What got you interested in tube riding with a kite? I think like any surfer tube-riding is the ultimate. With a kite it allows you get into the wave quicker than paddle surfing. And when you work it out I think with the right conditions it can be easier to get a barrel kiting than regular surfing. Plus you don’t have to paddle. How long have you been a surfer? I remember getting a body board for a Christmas present when I was five, I stuck the leash on the tail and used it as leg-rope. I had no idea that you’re meant to lie down on the thing. But got my first fiberglass board when I was 8. Are there advantages to kiting barrels? For sure the biggest for me is that you can get in earlier and deeper than regular surfing, especially when it is low-tide. If you wipeout correctly with a kite you don’t get washed over the reef like you do with paddle surfing. But if it all goes go wrong it can get messy, expensive, and dangerous. 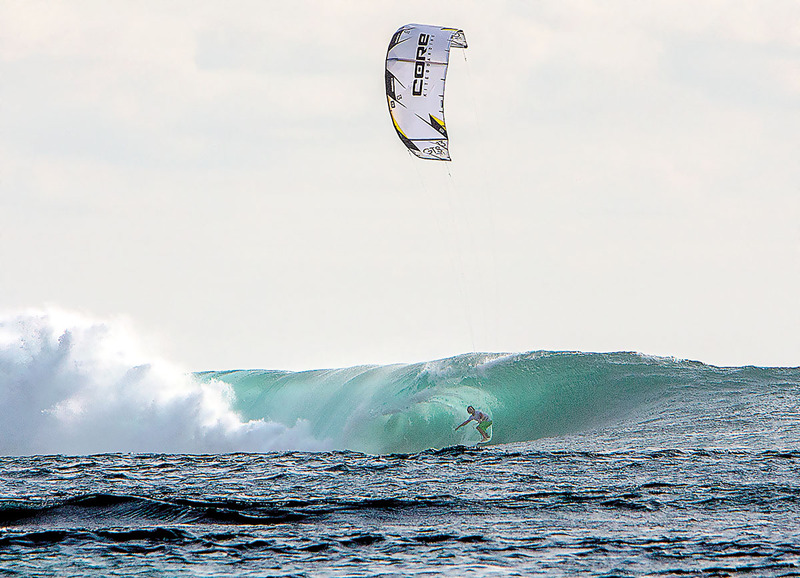 For kiting, guys like Ben Wilson and Keahi De Abortiz because of the way they ride backside and make it look good, as well as charging hard and riding just as good when they are paddle surfing. How often to you get home to Australia? A month or two each year to visit my family and friends, I love Australia, it is the best country in the world for sure. But I have such an amazing lifestyle being based in Asia. Vietnam has over 3000kms of coastline and is one of the windiest places in Asia. It doesn’t really have a “million dollar spot” as such, but the wind in November to April is super reliable and the waves can actually get pretty big when typhoons come down from the Philippines. I spend as much time as possible in Indonesia surfing and Vietnam is just a couple of hours away. I first went to Vietnam to get wind when I got into kiting. I have just kept coming back. 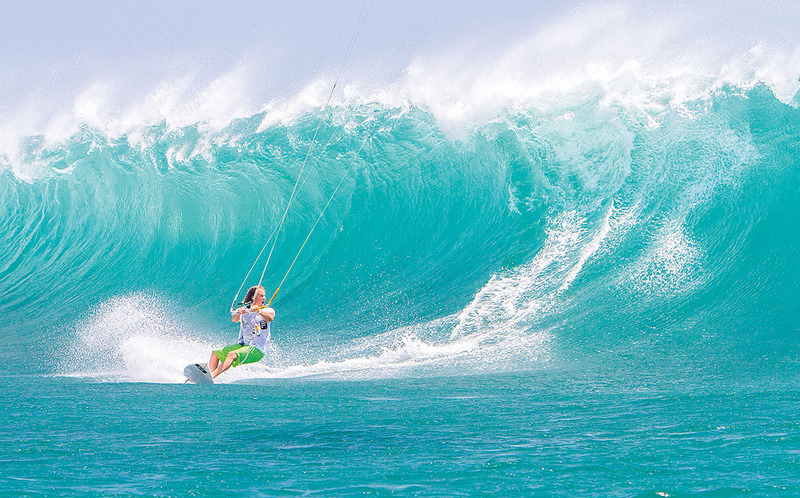 It is so close to Australia and Indonesia, and there are lots of tourist to teach kiting and surfing to. 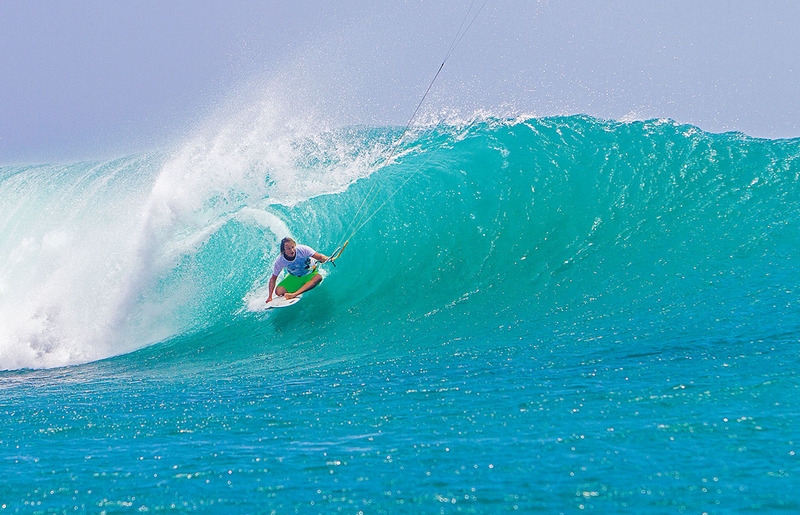 The cost of living has to be one of the lowest in the world and I get to kite and surf everyday. Do you enjoy teaching kitesurfing? I don’t teach beginners as much as I used to because I have staff to do that now. But what I love about teaching kiting is how kiting can change someone’s life. WHAT I LOVE ABOUT TEACHING KITING, IS HOW KITING CAN CHANGE SOMEONE’S LIFE. What’s it like shooting fisheye with photographers in the water? Water photography with kiters is a lot more risky than surfing I think. 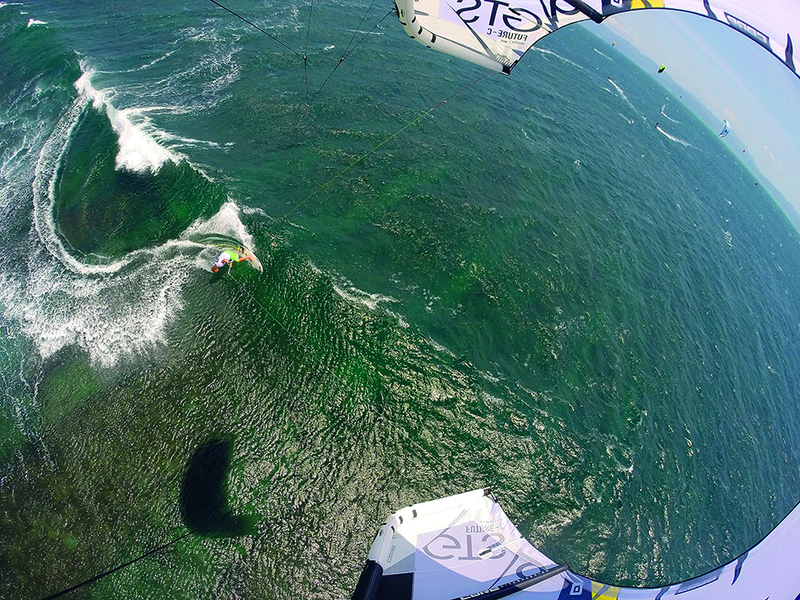 With kiters moving so fast and dealing with the lines and flying boards during wipeouts. I have been in the water with a few photographers and a lot just get in your way. Recently one photographer got 20 plus stitches in his head from reef after a clean-up set and he was wearing a helmet. Jason Wolcott however some how swims into the cracks in the reef and holds on, WTF! Its all for the love Rob… Where do you see kiting going from here? More surfing airs, rotations and handle passes. As well as longer tube rides. I stream Triple J radio station a lot to get a taste home. Yep, every now and then I like to shave my head, it is cooler and more practical especially living in the tropics. Do you believe in any of the following if yes… why? Big foot? The Locke Ness Monster? Aliens? America? Not really, but I have had a few close encounters with drop bears. Recently in Mauritius I got smashed by the first wave of the set. I released my kite, got washed by half a dozen waves to the get my board leash caught on the reef. I was then held down by three waves and couldn’t get my head to the surface. I thought I was going to die and was waiting to black out, then my leash snapped. I’m not religious but that was a miracle. Pizza and beer, is beer a food? Any advice for up and coming tube riders? Try to get confident positioning yourself and getting tubed without your kite first and learn how to take a wipeout without crashing your kite, then practice, practice, and practice. Looking for a toilet in remote Java when my bowel was about to explode. I saw a small tiled building, which I thought was a public toilet which I ran to. I couldn’t find a toilet inside, just dirt floors. I had no choice but to drop my boardies and release. I walked outside to realise it was a Mosque, sorry Allah.